Note: SEK is the Swedish Krona, worth about 0.12 USD or 12 cents. 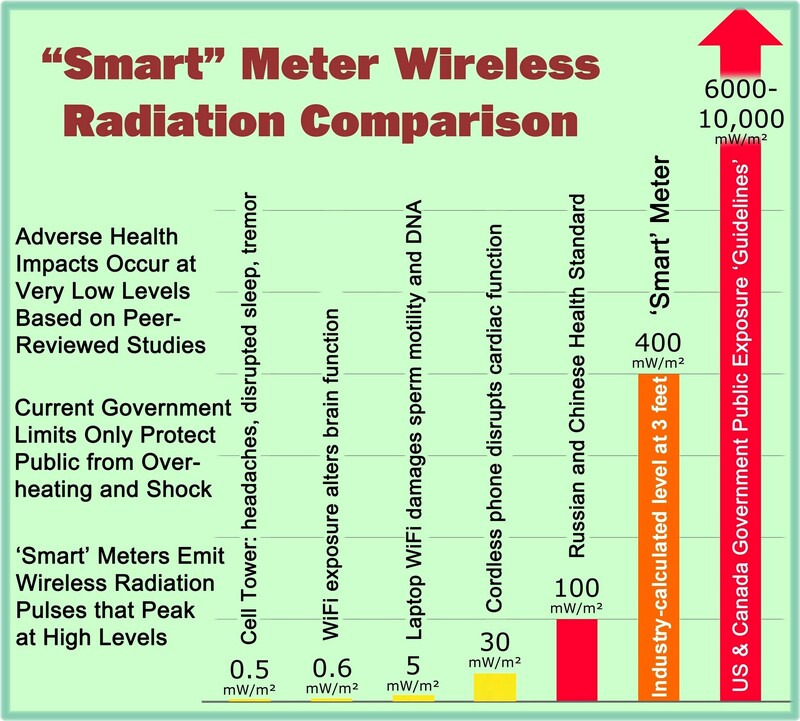 The technically oriented bureaucrats who envision “benefits” being obtained from smart meters do so under the assumption that consumers will be “flexible” with regard to their energy usage. It is assumed that consumers will accept a certain level of “disutility,” reduced household comfort, and loss of privacy. The main objective with the paper is to study potential utility loss, or discomfort, associated with consumer flexibility and demand management. In any case of behavioral control related to electricity use, it possibly affects and reduces household daily comfort. In the present study, it is possible to estimate a value on the discomfort a household experience from, say, not being able to use the dishwasher, or from a lower indoor temperature during the peak hours and the utility/disutility associated with peer comparisons of electricity use. Given today’s advanced electricity meters, it is possible to measure household level electricity use by the hour and charge prices based on the real time spot price on the wholesale market. This type of pricing scheme is referred to as “real time pricing”. More generally, when the price facing end-consumers changes at least once per 24 hours, it is referred to as dynamic pricing. To some degree, the high hopes of an untapped potential of demand-side flexibility is contradicted by the vast literature on the so called energy efficiency gap arguing that consumers are rather price-insensitive and may react inefficiently to price signals due to informational, organizational and behavioral failures. … With this in mind, empowering end-consumers by enabling dynamic pricing (or other compensation mechanisms) and the provision of detailed information about their energy use may turn out to be ineffective. For example, Torriti (2012) found that when Italian households were involuntarily exposed to dynamic pricing (time of use) total electricity use actually increased by approximately 13 percent. The study also found that the introduction of time of use pricing succeeds in, to some degree, lowering the morning peak, while worsening the evening peak problem. A different way to have households reschedule their use of electricity is to use a demand side management (DSM) approach through direct load control at the household level. A recent large-scaled field experiment on American households found that informing households about how their electricity use relates to that of similar households (peers) decreased actual electricity use (Allcott, 2011b). However, the increased amount of information sharing among households may give rise to issues related to integrity and ethics. It is reasonable to believe that individuals expect compensation when giving away personal information. In developed economies, the cost for energy constitutes a rather small share of total household expenditures. In addition, habits and norms typically reflects the structure of the society and rescheduling energy use is by no means a costless task as it may impose significant disutility on households and firms in the form of transaction costs and everyday discomfort. It is reasonable to believe that DSM [demand side management] substantially affects people’s everyday life and comfort. In this paper we have estimated the disutility people experience from being systematically controlled with respect to their daily energy use. Specifically, a choice experiment has been applied to analyze the case of direct management of consumer energy use during certain time periods such as daily peak hours and cold periods. The choice questions included hypothetical contracts characterized by attributes related to restrictions regarding energy use and information dissemination. By choosing among contracts the respondents implicitly revealed their stated preferences for not adjusting their energy use according to the stipulated restrictions. Besides the control of heating and household appliances, the hypothetical contracts included an attribute regarding information on household electricity use for purpose of peer comparisons. A monetary annual compensation was included, which also made it possible to express preferences in terms of monetary measures. This study finds that the compensation needed to systematically “reschedule” and control the household electricity use is considerable and measures to hundreds and thousands of SEK annually. [However,] people require a relatively small compensation for accepting external control at random extreme occasions. Given that this estimate can be interpreted as the willingness to accept a controlled, and limited, blackout, it is comparable to the willingness to pay for reduced risk of blackouts … . 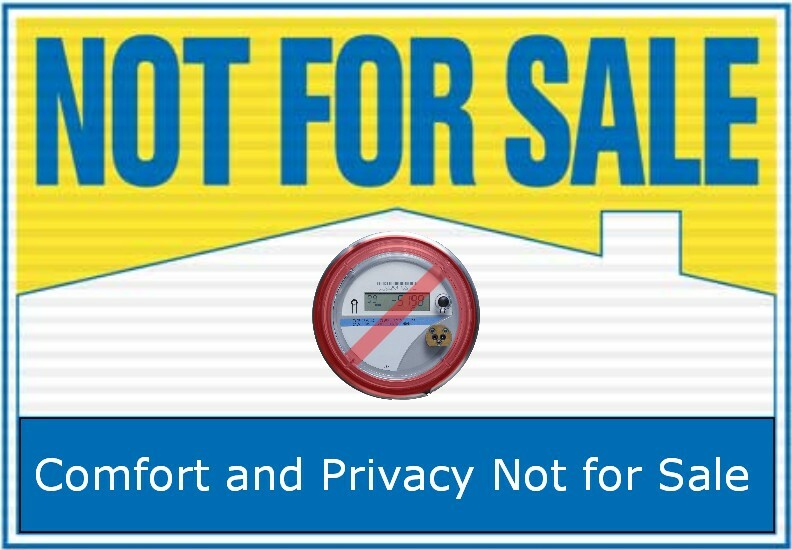 Use of private information collected through smart meters regarding household energy use. My response to the authors of the Swedish study is that my “comfort” and privacy are NOT FOR SALE. How about for you? This article complements my prior article from January 31st, Families Punished by ‘Smart’ Meters and TOU Rates, Recent Study Confirms. That article revealed how Time-of-Use (TOU) rates and so-called dynamic pricing punish consumers, both financially and socially. If one then goes beyond TOU pricing and actually allows direct load control of your appliances by the utility company, you will suffer discomfort and further loss of privacy. The “discomfort” repercussions for participation in energy reduction programs can actually be quite severe. In Illinois, a study presented before the Illinois Commerce Commission (ICC) showed that participation is such programs can result in an under-usage of electricity resulting in extremes for the indoor temperatures of affected consumers. It has been shown that “exposure to temperatures outside of a moderate range increases the likelihood of hospital emergency department visits, hospitalizations, and premature death” . A loss of control over one’s appliances, comfort, and health. Quotation from direct testimony of Megan Sandel, MD, MPH, before the Illinois Commerce Commission on May 11, 2012, on behalf of the AARP and the People of the State of Illinois. Reference: ICC Docket No. 12-0298: Petition for Statutory Approval of a Smart Grid Advanced Metering Infrastructure Deployment Plan Pursuant to Section 16-108.6 of the Public Utilities Act. Link for Testimony: Sandel AMI Direct Testimony ICC. This entry was posted in Smart Grid, Smart Meters, and RF Emissions and tagged Costs, Discomfort, Loss of Control, Privacy, Smart Meters. Bookmark the permalink.